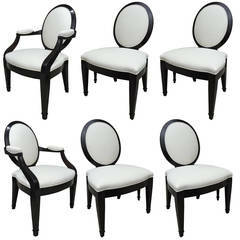 Set of Ten Tommi Parzinger dining chairs dark walnut finish 8 side two-arm chairs, chenille off white fabric . 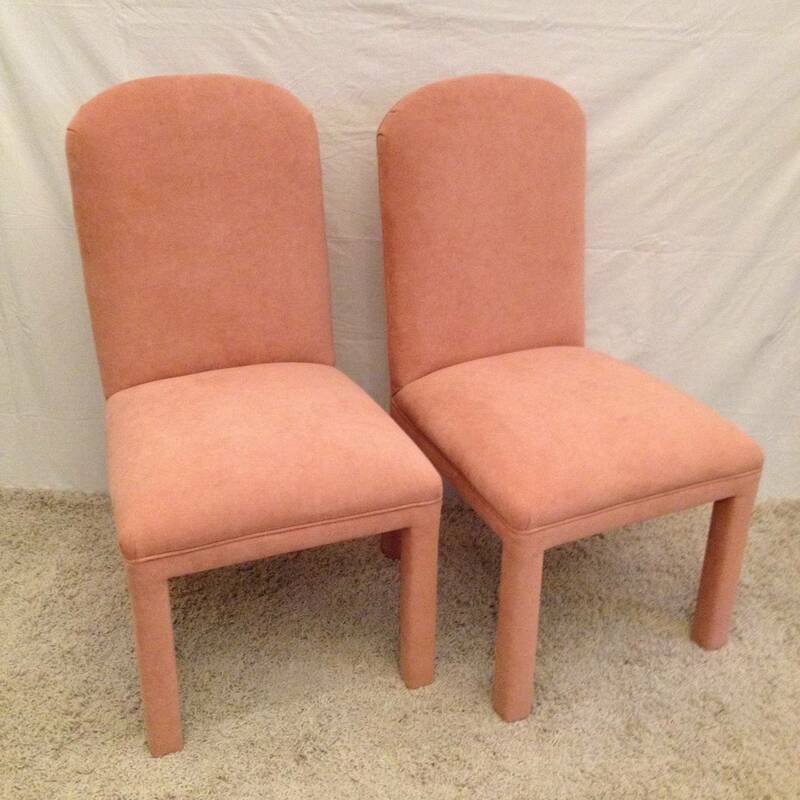 Two-arm chairs are wider 22. 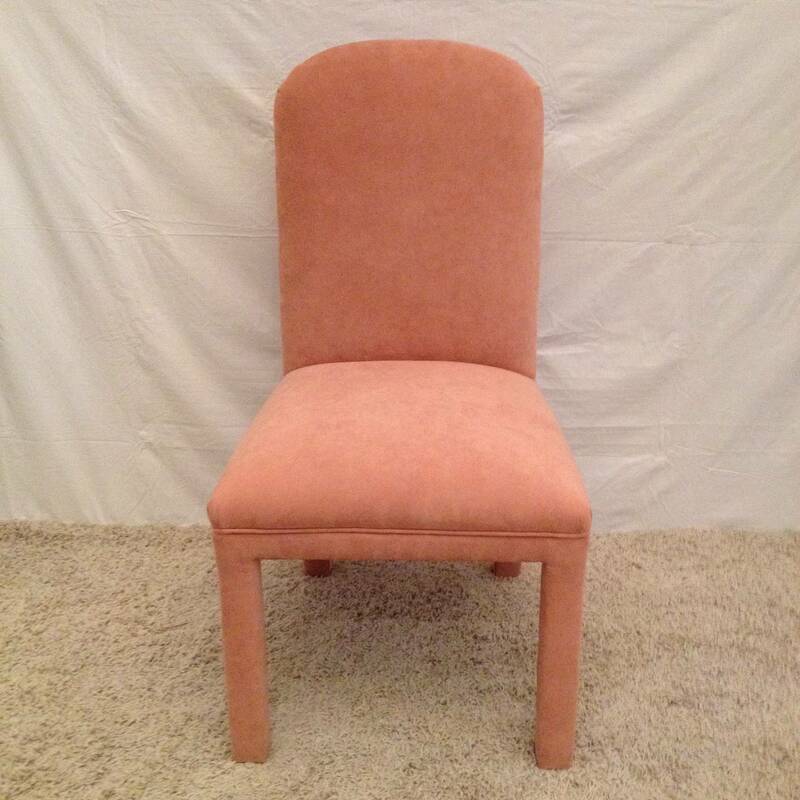 A set of six fine quality Italian midcentury dining chairs in stained beech, with sculptural backs, long brass sabot feet and newly upholstered in deep blue silk. 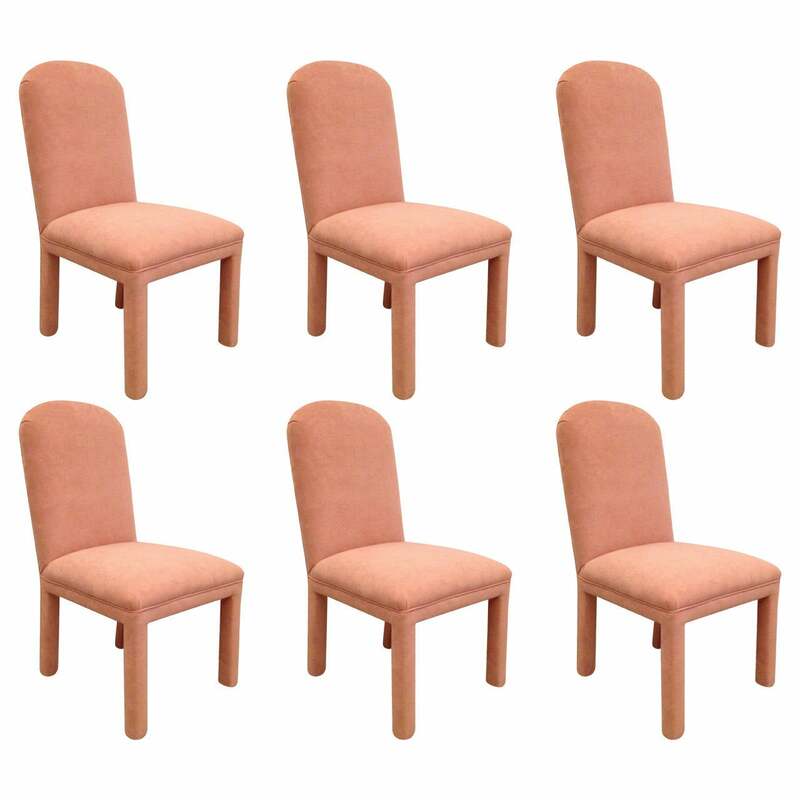 A set of six Italian dining chairs of stylish design in cherrywood. 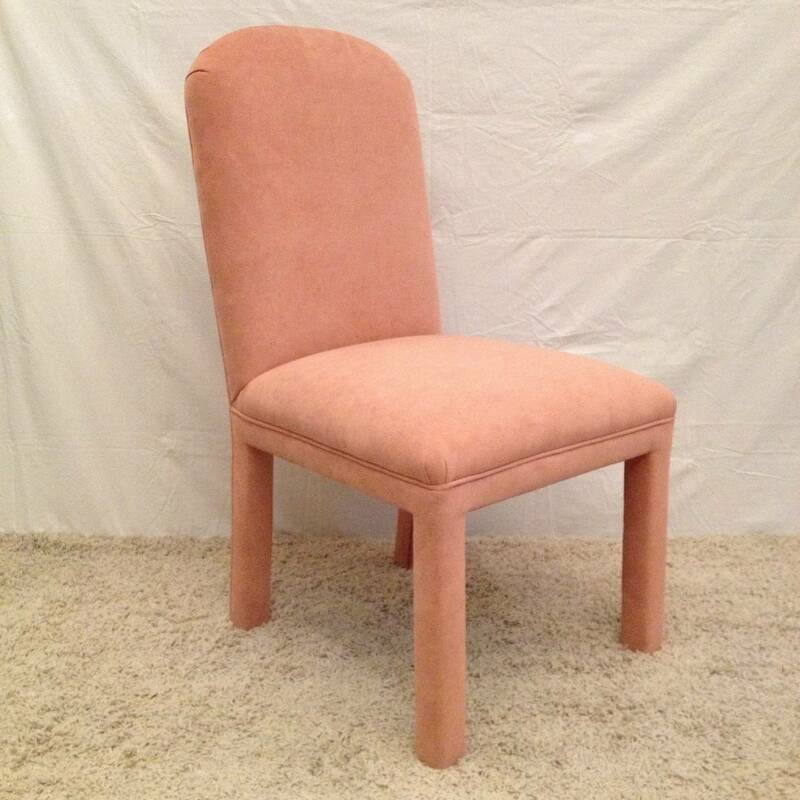 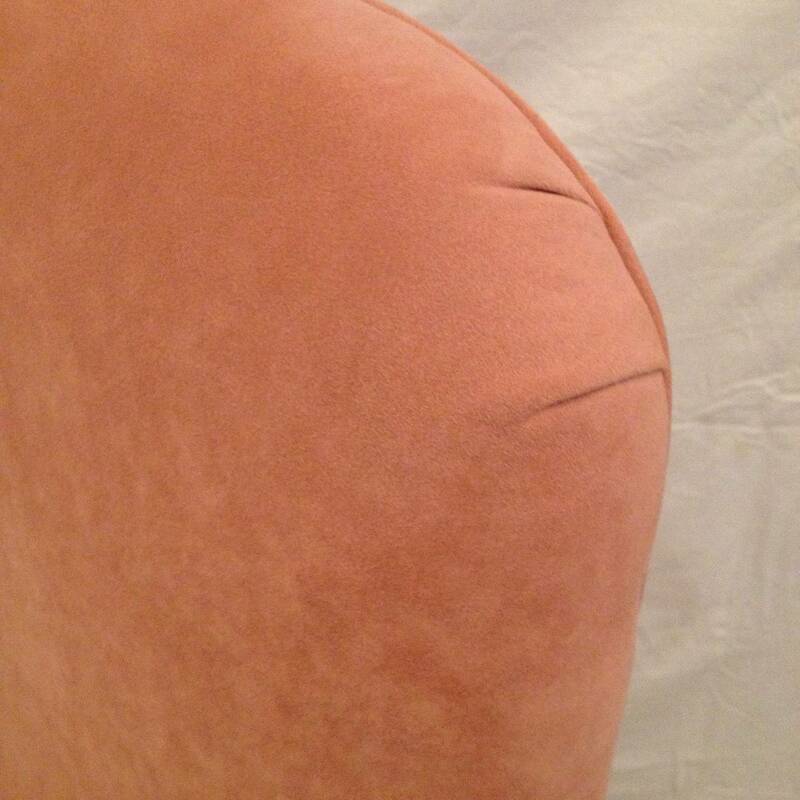 With sculptural backs and newly upholstered in wool. 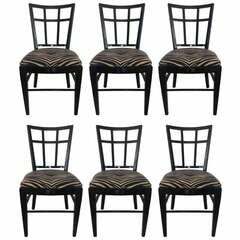 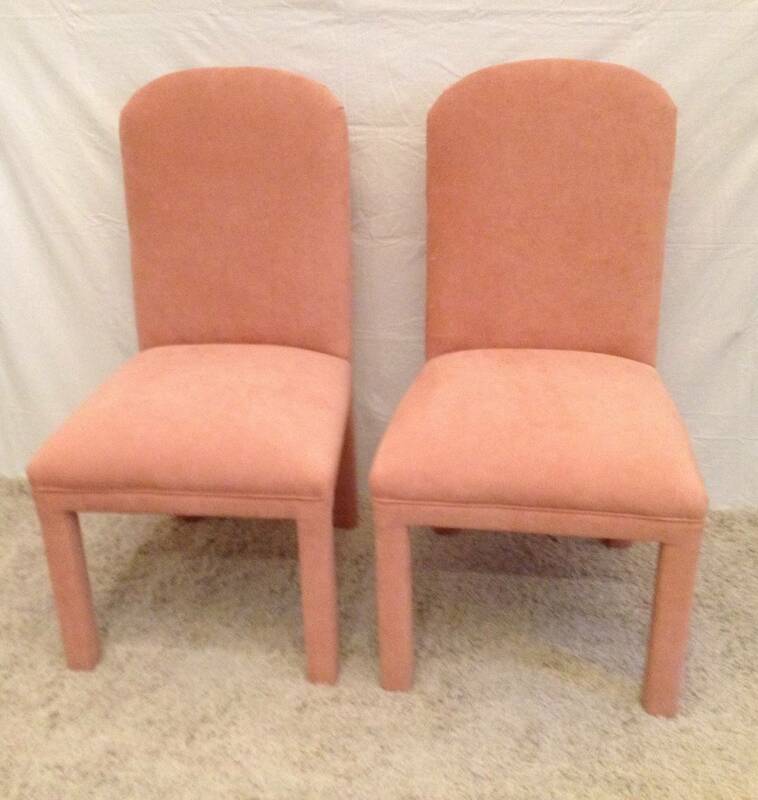 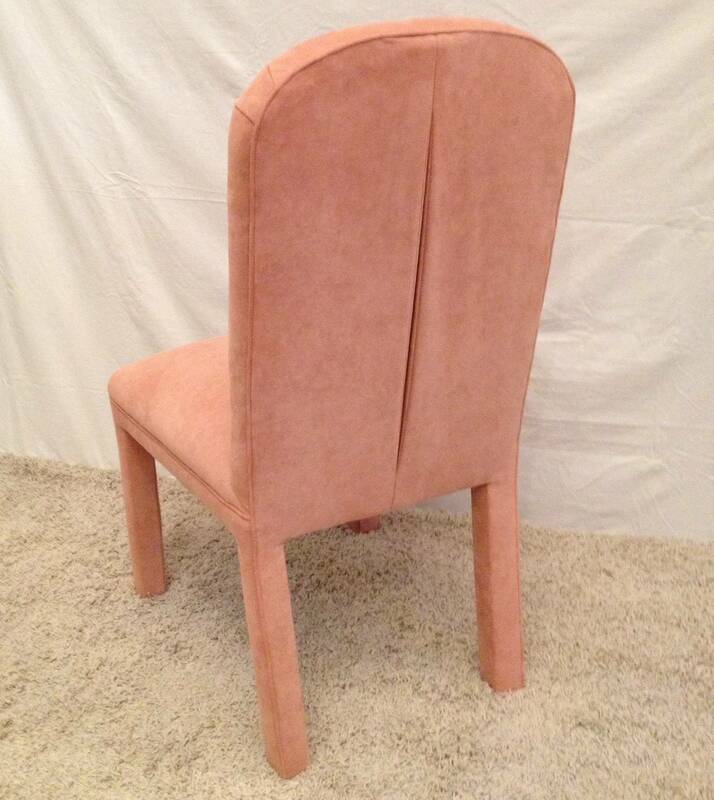 Set of six Kai Kristiansen dining chairs. 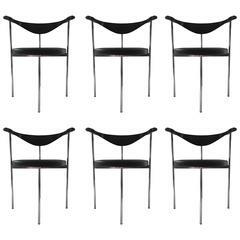 Set of six dining chairs by Vittorio Dassi. 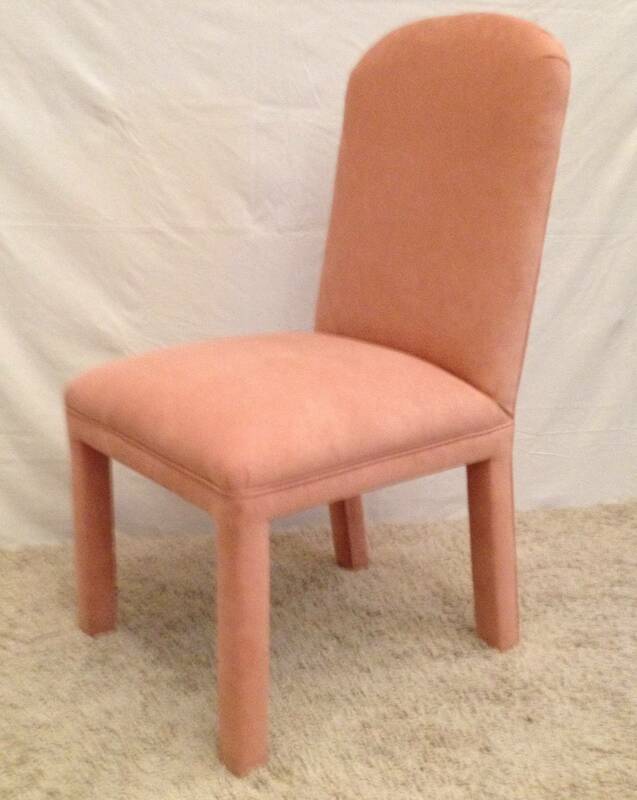 Good original condition, solid frames with new leather upholstery.